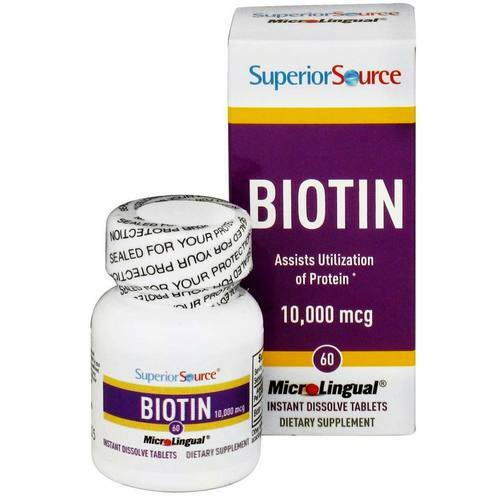 Superior Source Biotin dissolves immediately on contact once placed on or under the tongue. Warnings: Contains Milk. If you are pregnant, nursing, taking any medications or have a medical condition consult your healthcare provider before taking this product. Keep out of reach of children. Recommended Use: As a dietary supplement, dissolve one MicroLingual tabelt under the tongue as directed by your healthcare provider. This product may also be swallowed/chewed.